← What’s the Funniest Town or City Name in Finland? Ever Wonder Where The Edsel Came From? The good, the bad, the car with a name which will live in infamy: The Edsel. You should never judge a car by it’s cover or buy stocks from someone named Madoff—or Ponzi for that matter. But what if you were one of the big three automakers trying to re-establish yourself in the post WWII market place. You do the research, add the features, give it a nifty secret name: “E Car,” create an ad campaign something on the order of a 1957 “Blair Witch Project”, never test market the goods, which are ahead of their time, because you know from investing with Bernie Madoff that past performance guarantees future results. Then you name it after the founder’s only child, Edsel Bryant Ford, president of FOMOCO (Ford Motor Company) until his death in 1943. Edsel’s oldest child and then president of the company, Henry Ford II, argued against the name; he got out maneuvered. Darn that faulty steering column and other missing parts. EDSEL released in 1958. Sold through 1960. Production of 116,000 cars. The public confused, they didn’t know what to do with the darn thing. People compared the prominent grill to a horseshoe or some unmentionable part of the female anatomy. (Ahem.) The car priced well beyond the average everyday person’s pocket book. . .the country in a bit of a recession at that time. The top models lauding high marks with consumer—economy cars. FUEL. FUEL. FUEL. Baby. Sound familiar? Fast forward several decades: The name symbolizes failure on an extravagant level. Overall sales of the car less than half the break even point. The company lost $350 million by 1960, so in reciprocal terms to 2015 dollars that’s $2,800,000,000. That’s a lot of bacon. But don’t worry darlings, the car makes a comeback. There are approximately 10,000 Ford Edsel’s still in existence and they are now worth about $100,000 each. Woohoo! Edsel Ford, innovator not albatross. But what of the car’s namesake? 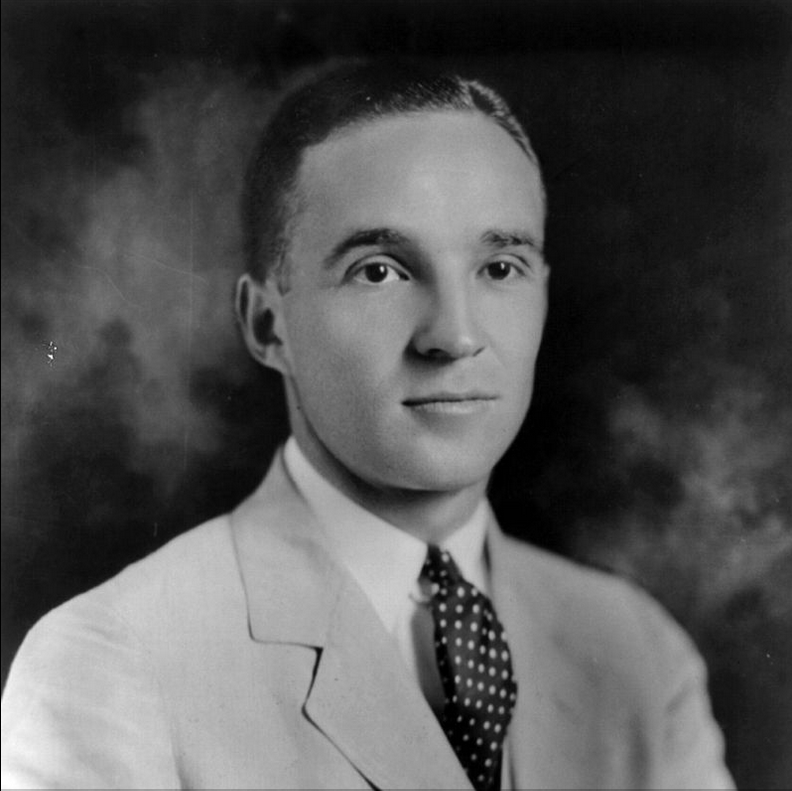 Henry Ford groomed his son, Edsel, to take over the company. Edsel pushed for fancier body styling and other innovations, becoming the leading force for the introduction of the model A.
Edsel owned the first ever “hot-rod”, created by Ford’s first designer E.T. Gregorie. A prototype, it is considered one of the most valuable cars in the world. Edsel sponsored Admiral Richard Byrd’s historic flight over the North Pole—Santa’s first airspace competitor that wasn’t the other kind of bird. And sponsored Byrd’s antarctic expedition, getting a mountain range named after him. He was the most influential art benefactor in Detroit’s history, and a section of Detroit’s Interstate 94 is named after him. Not to mention 3 high schools in the state. Edsel was instrumental in the war effort. Arming the US “Arsenal of Democracy”, he set a goal for Ford—producing one B-24 bomber per hour at Ford’s Willow Run manufacturing complex. The stress of the project caused him to develop stomach cancer. Surgery revealed the spreading cancer. At the tender age of 49 Edsel Ford died. Edsel Ford created a legacy—including donating his non-voting stock shares to the Ford Foundation. Not bad for a guy who’s name, unfortunately, will forever be attached to one of the largest failures in automotive history. This entry was posted in Funny Names in Cars and tagged cars, funny name, funny names, humor, humour. Bookmark the permalink. 17 Responses to Ever Wonder Where The Edsel Came From? He was a smart guy from wealthy stock, Fannie. Great piece to let the world know he was nowhere near a clunker! Thanks, Mark. The story behind the Edsel and the politics involved at the time would probably make a great Mini-Series. It has so many twist and turns and really well know players in the political arena…too bad its namesake became the scapegoat. Oh, I rather like the grill, and Edsel himself looks so sweet. Now I’m sad that he died so early. I imagine nobody named his kid Edsel after that. Does it have a worse reputation than the Nova? I see what you did there with the bold. You are on your game. The Edsel was a larger financial disaster than the Nova, but naming a car “No Go”, at least doesn’t besmirch someone else’s name. Meet the Ford Edsel and Edsel Ford. This month’s contribution to the Blog of Funny Names. I’m currently in Maine, not far from where Edsel’s summer house is. It’s called Skyland, and is currently owned by Martha Stewart, who reportedly owns an Edsel herself — a car that was featured recently at an antique car rally! But who the hell names their child “Edsel”? Love the history of his summer home. Maine is a beautiful state. That’s funny that Martha Stewart has an Edsel. Can you see it from the road? I would hate to trespass the next time I’m in Maine, but it will have to be on my must visit list! No. But she opens it for charity events occasionally. She is reportedly rather protective of her privacy. I don’t blame her for that. Nice!! I missed this one bc I was away at Catalina, but fun fact: Rob and I saw a documentary about the Edsel many years ago (at least 12), and before the BoFN or the original funny names list were a twinkle in our eyes, we were briefly obsessed with the name Edsel, and I kept mentioning he should buy an Edsel as his first car! Another great find, Fannie!!!!!!!!!!!!!!!!!!!!!!!!!!!!!!!!!!!!!!! I hope you had fun at Catalina. Fannie Fannie Fannie! The first time I read this was on my phone, and I missed the awesome “Edsel Ford” bold thing you did in those two paragraphs! I don’t say “brilliant” too often, but that was brilliant! Thanks, Dave. That was inspired by a comment thread between you and Diddy a while back. Don’t ask me when, I can’t remember which one. But I thought it would be fun to give it a spin.